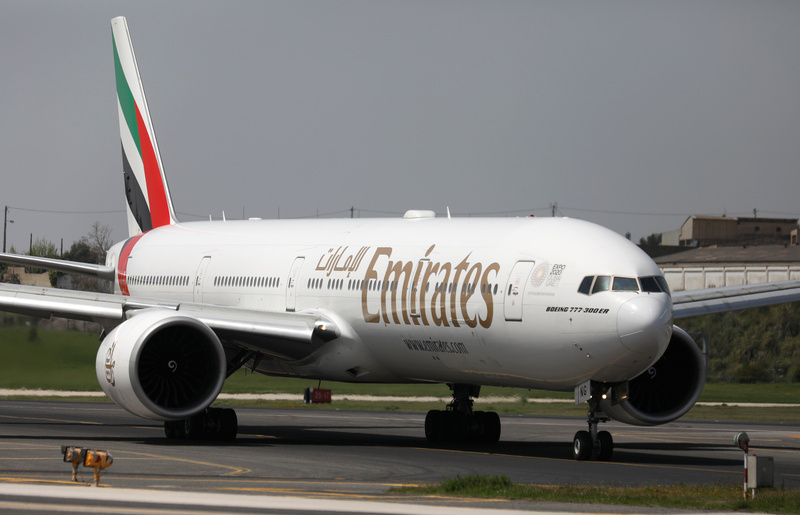 Dubai’s Emirates and Abu Dhabi’s Etihad denied merger talks. But higher fuel costs, overlapping networks and Etihad’s woes make it an idea worth considering. A single UAE player might better address the threat from long-haul routes that will inevitably bypass the Middle East. An Emirates Airlines Boeing 777-300ER plane prepares to take off at Lisbon's airport, Portugal April 24, 2018. Emirates and Etihad Airways, two state-owned airlines in the United Arab Emirates, denied a Sept. 20 Bloomberg report they are preparing to combine to create the world’s largest airline. The story quoted unnamed sources as saying Emirates was seeking to take over Etihad. Both airlines denied the report when they were contacted by Reuters. “There is no truth to this rumor,” an Emirates spokeswoman told Reuters. Etihad made a similar statement.